It was in November 2015 when we traveled through Austin Nevada, going South after we spent the summer in Montana. The big snowfall that started the day we started our trip South followed us through the high elevations of the Oregon mountains and it was also present in abundance here. It was Veterans day and the “Loneliest Highway” – route 50 – was lonelier than normal – I guess…, and I had the same impression about this small old town – everything was closed. This place is an unincorporated community in Lander County, Nevada at an elevation of about 6000 ft in the Toiyabe Range of Mountains. It developed during a silver rush around 1860’s for the mining opportunities, not only on silver, but also gold, turquoise and uranium. Turquoise of high quality is still mined here in small quantities. At the first sight, the old small town looked to me almost like a ghost town. However, as a proud local advises, Austin Nevada is more alive than it appears to be. There are 3 hotels, one B&B, two gas stations, a library and lots of interesting things to see and do here as a tourist. **This place also was a stop on the famous Pony Express route. 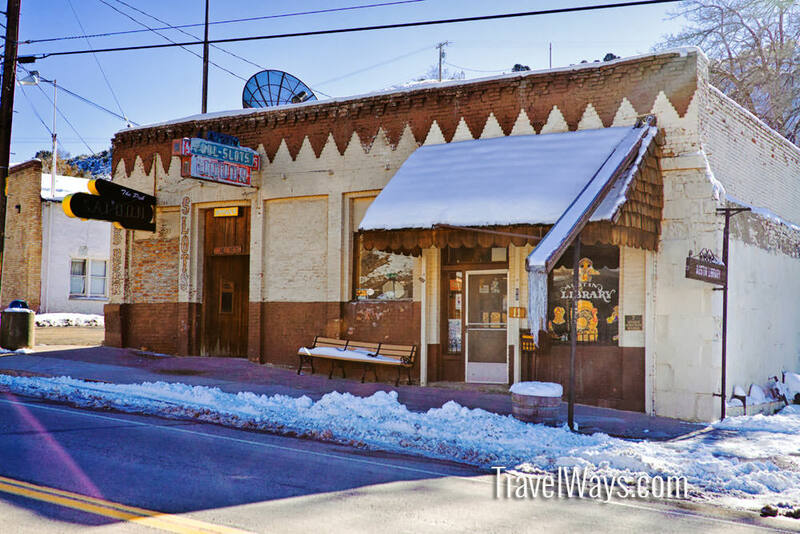 In this town you can shop for locally crafted jewelry made with the famous turquoise, plus antiques and souvenirs. This time we just made a short stopover, but we’ll probably come back. I’d like to see more of the mining and historic artifacts here – part of Nevada memories, as well as the beautiful surrounding area. Gold and silver mining has continued in the area sporadically and at generally low levels of production. This active turquoise mining, together with several shops that manufacture jewelry from local turquoise have made Austin a sort of Nevada Turquoise mecca. Wonderful photos for this week. So very beautiful. What a beautiful place!! Amazing images, Tatiana!